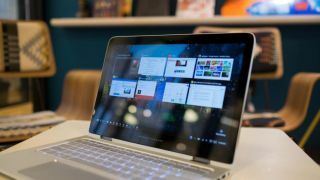 According to numbers from one analyst firm, Windows 10 is set to overtake Windows 7 before the end of the year, in terms of the amount of PCs these operating systems are installed on across the world. The latest figures from Statcounter (based on its own website analytics) show that, as of September 2017, Windows 10 is installed on 39.3% of desktop Windows PCs, and Windows 7 is now only just ahead at 43.99%. Compared to the previous month, Windows 10 gained 1.43% market share (up from 37.87%), whereas Windows 7 dropped 1.11% (down from 45.1%). If that trend continues and the same gain/loss are made throughout October and November, when the stats are revealed at the start of December, Windows 10 will reach 42.16% compared to Windows 7 on 41.77%. In other words, before 2017 is over, we’ll likely have a new king of the Windows operating systems, (almost) two and a half years after its release. The release of the Fall Creators Update later this month will likely only ensure that Windows 10 has more of a climb, given that new features could tempt some more upgrades. Meanwhile, rival analytics firm Netmarketshare still has a far greater gap between Windows 10 and Windows 7, with the operating systems at 28.65% and 46.22% market share, respectively. Although this company’s figures for September appear to have somehow gone awry, considering that Linux has made a massive leap to 4.83%, and is supposedly now more popular than macOS Sierra (10.12), which is on 3.8%. As MS Power User – which spotted these numbers – notes, this certainly appears to be a mistake. It’s also worth noting that Netmarketshare takes into account all desktop operating systems, whereas Statcounter’s figures are just Windows versions (no Linux or Mac included – although these don’t make a huge impact on the world of PCs, of course, compared to Microsoft’s OS). The Fall Creators Update for Windows 10 will begin its big rollout two weeks from tomorrow, on October 17.